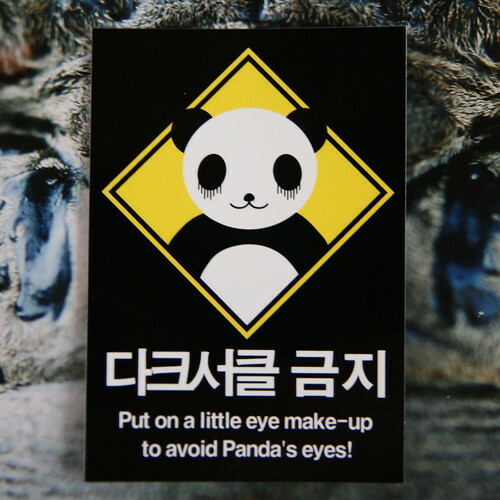 After seeing this sticker, I now understand the dangers involved in not wearing make up. The threat of having Panda's eyes upon me is enough to make me reach for my foundation and sponge... Please don't hurt me weeping Panda, I promise to use more blush. 다크서클 금지 means "Dark Circles Are Prohibited." that's funny i hope you don't mind i'll put the picture up on facebook and dedicate it to my friend who's a frequent 'panda eyes' offender. That's no problem, glad you like the picture.